Our Polo are impeccably crafted in 96% yarn dyed cotton and 4% elastane, making our shirts wonderfully lightweight and breathable. 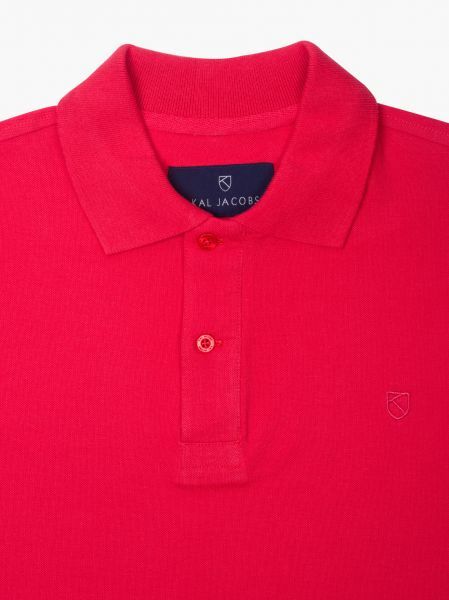 This Classic Fit Cayenne Red Polo Shirt is sure to inject rich colour into your wardrobe. This Tailored Fit Black Bamboo shirt will easily take you from your desk straight to lunch or dinner looking stylish and refined. It features edge cuffs and a short cutaway collar. Made from Organic Bamboo Fabric, this shirt is a pleasure to wear with its smooth and lightweight feel against your skin.